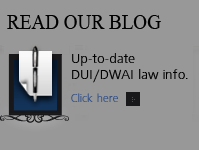 Colorado DUI – DWAI – sentencing requires that the defendant successfully complete a Colorado certifed alcohol treatment program as part of any probation based sentence. This article addresses those programs. “Driving under the influence” means driving a vehicle when a person has consumed alcohol or one or more drugs, or a combination of alcohol and one or more drugs, that affects the person to a degree that he or she is substantially incapable, mentally or physically, to exercise clear judgment, sufficient physical control, or due care in the safe operation of a vehicle. Section 42-4-1301(1) (f), C.R.S. “Driving while ability impaired” is similar, except that a person need only be affected to the slightest degree so that he or she is less able to drive than he or she ordinarily would have been. Section 42-4-1301(1) (g), C.R.S. In Colorado – What is the Level I Alcohol Treatment Program? When is a Level I Alcohol Treatment Program Required? Completion of a Level I alcohol education program is required when a minor driver has had their license/privilege revoked for one year for their first DUI, DWAI or .02 or more BAC conviction, for a violation that was received while under the age of 21. However, a person may be classified as a persistent drunk driver and subject to greater penalties if the test shows a blood alcohol level of at least 0.17. A minor driver may be required to complete Level II education or Level II education and therapy depending on the alcohol evaluator’s recommendations. Level I alcohol education and Level II alcohol education/therapy programs, as requiredby statute, are defined by the Division of Behavioral Health (DBH) of the Colorado Department of Human Services. Twelve (12 ) hours alcohol / drug ( DUI / DWI / DWAI ) education counseling as defined by DBH / ADAD, over a minimum two (2) day period, with not more than six (6) hours in one (1) calendar day. What is a Level II? When Is It Required? â€¢ Is revoked for multiple BAC tests of .08 or more (Per Se). 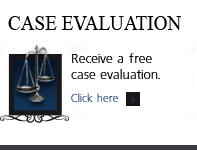 This state-certified class meets court requirements for DUI offenses. This 12-week class increases attendees’ awareness about the negative effects of substance abuse. DUI classes meet once a week for two hours. Discussions focus on addressing the risks and problems related to the use of drugs and alcohol, how to best mitigate those risks, and the difference between addiction and abuse. Attendees participate in comprehensive discussions about the medical aspects of drugs and alcohol, legal implications of usage, signs of addiction, social impacts of drug and alcohol abuse on family and friends, and other topics. 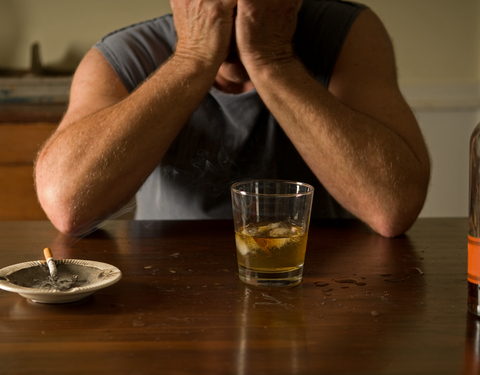 What About Intensive Inpatient Alcohol Rehabilitation Programs? Residential treatment programs can be very effective. These programs are highly structured programs that can last from 28 days to 6 months. Inpatient rehabilitation differs from other treatment approaches principally in their use of the community- treatment staff and those in recovery-as a key agent of change to influence the patients’ attitudes and behaviors associated with their drug or alcohol abuse. While in a residential treatment program you will receive individual and group therapy. In addition to traditional therapy, treatment centers offer various specialized treatment options. The primary focus of an inpatient rehabilitation center is on the resocialization of the person to a drug or alcohol free lifestyle. If you have questions about Colorado Alcohol Treatment Programs in the Denver metropolitan area and throughout Colorado, attorney H. Michael Steinberg will be pleased to answer those questions and to provides quality legal representation to those charged in Colorado adult and juvenile criminal matters. 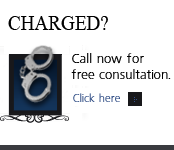 In the Denver metropolitan area and throughout Colorado, attorney H. Michael Steinberg provides quality legal representation to those charged in Colorado adult and juvenile criminal matters as regards Colorado Alcohol Treatment Programs.